Choosing the right pair of boots is an important decision that you should think about carefully. There are so many different types of boots on offer with everything from a Chelsea boot to a Jodhpur boot appearing in the wardrobe of many men across the world. To help you with this decision, we have put together a guide on how you can choose the perfect pair of boots. Keep reading if you’d like to find out more. If you have never heard of Jodhpur boots, then you’ll be interested to know that they originally come from India and they were used in horseback riding. They come in many different variations and they look amazing with many different outfits. If you are the sort of man who likes to wear a lot of casual suits or sport coat combinations, then you should think about investing in a pair of Jodhpur boots. The boots themselves tend to be flat and they don’t have any broguing so you’ll find that they go well with a lot of outfits. The nicest Jodhpur boots come in mid brown or tan so make sure to look out for these. Chelsea boots are some of the most popular boots right now for men because of how timeless they are. They have a unique style that people tend to notice right away because of the way that the sides of them appear. Chelsea Boots from dunelondon.com look great and they are really easy to put on and take off, which is why they are suitable for men who are looking for a boot that is easy and convenient. What’s more, if you tend to find most boots a little bit boring and not reflective of your personality, the great thing about Chelsea boots is that you can add in inserts in a variety of different colours that will add a personal touch to your style. Furthermore, if you are quite new to the world of men’s fashion and boots, then these are a great option to choose as they are versatile and can be worn as both a casual option and with suits too. You can really adapt these shoes to whatever you need. We would recommend going for a black or dark brown Chelsea boot as this will coincide well with what you already have in your closet. If you are looking for a classic dress boot that goes well with formal outfits then you will definitely want to check out the Balmoral boot style. These are essentially the boot version of the oxford shoe and if you have a lot of formal outfits in your closet then this really is a must-have shoe in your collection. Team it up with everything from a morning coat to a three-piece suit. This style is also perfect for those living in a colder climate as they will keep your feet warm whilst still looking stylish. However, if you are someone who enjoys wearing chinos and tweed, then this style may not be the best option for you, but there are plenty of other options for you to choose from. If you live in a climate that can get really quite cold in the winter months, like the UK, then a good pair of winter boots is a must. While this may appear to be an ordinary boot from the outside, what makes a winter boot so special is the gorgeous linings that are on the inside and that will keep your feet lovely and warm during the freezing cold temperatures. There is a tonne of great faux fur options out there for you to choose from and these are an essential once the temperature begins to drop. 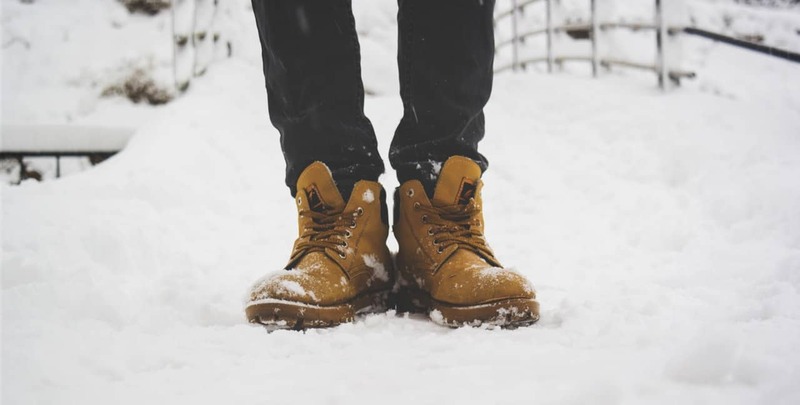 If you are going to be investing in a pair of winter boots, make sure to get ones with a rubber sole as this will ensure that your feet are kept dry. If you are planning on wearing them with more formal attire, then it is a good idea to get them in black, or for a more casual look, tan is a fantastic option. These really are the perfect option for all the men out there who want to keep their feet warm but do not want to sacrifice their style in the process. As you can see, there are plenty of great stylish boots options out there for men to choose from and these are just four of our favourites that we would recommend to you. Make sure to get the basics in your collection, before branching out and trying unique shoes in different colours and styles.